Evan Madision, the teen’s boyfriend, and his family, helped the young mother-to-be obtain legal representation from the Texas Center for Defense of Life, a pro-life organization. 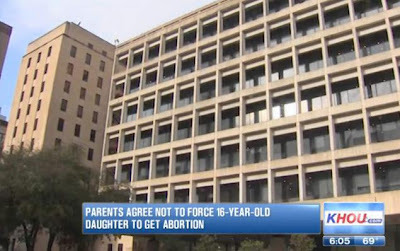 The latest battle over abortion was front and center in a Houston courtroom involving a 16 year old teenage mother from Hockley. According to court records, the 16 year old female who is ten weeks pregnant, filed a lawsuit against her parents. She claimed they pressured her to have an abortion. The teen alleges her parents even threatened her with physical force if she didn't abort the child. But after a week in the national spotlight the young mother and her parents settled their differences. The 16 year old will be allowed to have the child. Fox 26 News has obtained a copy of the agreement reached between the soon to be young mother and her parents. It reads the teen may have the child and her parents won't threaten her with physical force. The parents will also give their daughter consent to marry the biological father. They will return the expectant mother's car, pay her cell phone bill and half of her health insurance just to name a few of the terms. Evan Madison is the 16 year old biological father of the unborn child. 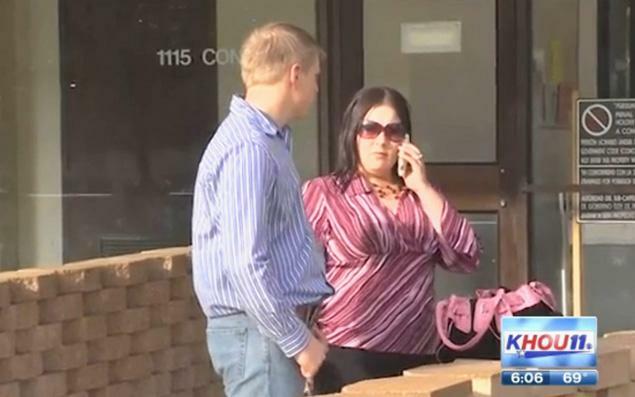 The teen girl’s parents agreed to let her have the baby. The teen alleged in a lawsuit filed last week that her parents were going to slip her an abortion pill and cancel her health insurance. Madison says, "emotionally and stressful it's been tough we've had fights and arguments over all of this and what will happen next because her parents are very unpredictable." 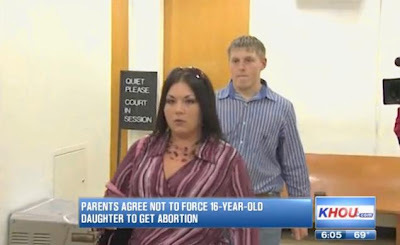 The 16 year old was represented by The Texas Center for Defense of Life. Attorneys for the group say they see this as a major victory in the fight against abortion. Howdy! I could have sworn I've been to this blog before but after going through a few of the articles I realized it's new to me.